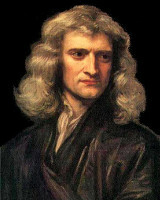 Newton 4 January 1643 31 March 1727 British Hannah Ayscough Physicist, Chemist, Astronomer, Mathematician, Philosopher English physicist and Mathematician and one of the most influential scientists of all time a key figure in the scientific revolution. Newton's Principia formulated the laws of motion and universal gravitation, which dominated scientists' view of the physical universe for the next three centuries. A list of popular Hindi Newton quotes are given below.